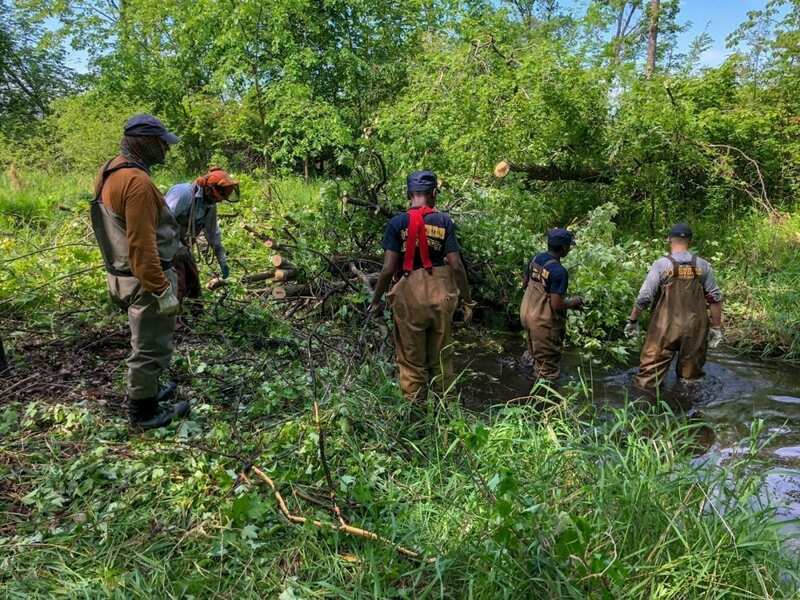 On Tuesday May 14th FVTU and the boys from Rawhide will assist FVTU and the DNR in restoring Humphrey Creek’s stream habitat. Humphrey Creek is a key part of the Pine River system. The effort will include re-orienting fallen trees into log sills, eradicating invasive vegetation along stream banks, and improving channelization by installing brush bundles. The importance of the day is more than stream restoration. We provide positive role models for the boys who may not have a male role model in their life. The boys are in a program called ABOUT FACE which entails structure and discipline. It is a 40 day program, they are graded daily. If they do not get a passing grade, that day does not count as one of the 40. They MUST earn the privilege of attending a stream restoration day. Feed back is the boys enjoy the outing and interacting with us. Also, they do a large part of the heavy lifting. Last year generally we had 4 or 5 FVTU volunteers at each session, I hope we can get several more to attend each session this year. It is an enjoyable and worthwhile day.